The celebrated jewelry designer and muse of Yves Saint Laurent, Loulou de la Falaise will forever be associated with '70s glamour. 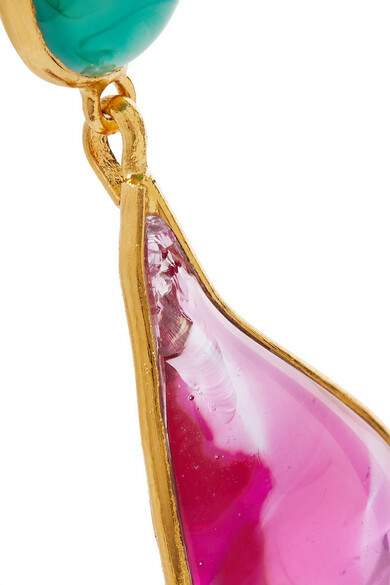 Now the late socialite's eponymous line has been relaunched by another longtime friend, Ariel de Ravenel, and stays true to the icon's bold style and eye for quirky accessories. 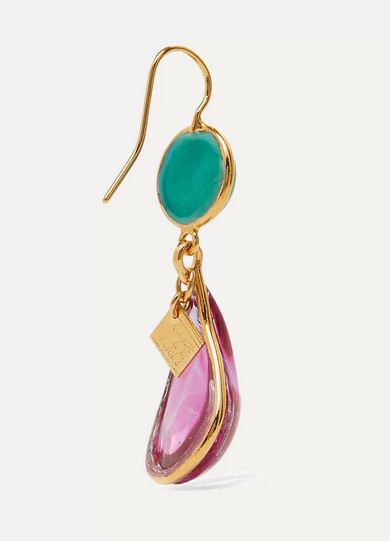 These gold-plated earrings are set with turquoise and pink glass beads shaped into teardrops. Shown here with: Lisa Marie Fernandez Top.